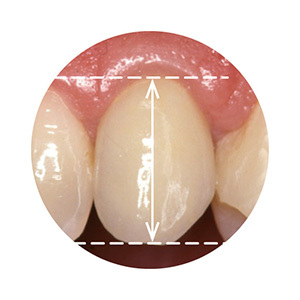 Gingival zenith score is defined as the linear distance from the zenith of the buccal gingival margin to the incisal edge of the crown. A decreased gingival zenith score over time means a gain in gingival tissue. Providing your patients with optimal esthetics is a critical factor of successful dental implant therapy and key to their satisfaction and improved quality of life. Studies measuring esthetics and satisfaction metrics demonstrate improved results with OsseoSpeed implants. 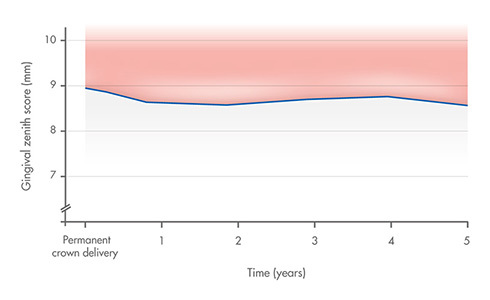 Stable periimplant soft tissue up to 5 years after implant placement: stable mean gingival zenith scores first year from crown placement followed by tissue stabilization. Minimal gingival recession in challenging situations at 3-year follow-up: stable soft tissue levels in situations with limited bucco-lingual or mesodistal space with unchanged mean gingival zenith score. Patients treated with OsseoSpeed implants have reported improvements in overall treatment satisfaction. Gingival zenith score (mm) over time for implants placed in healed sites. Properly maintained marginal bone is critical for supporting adjacent soft tissue. Abundant, healthy bone and soft tissue ensures your ability to provide your patients with ideal esthetics. Find out why we continue to challenge with sound science and discover the excellent clinical results, as well as the references. 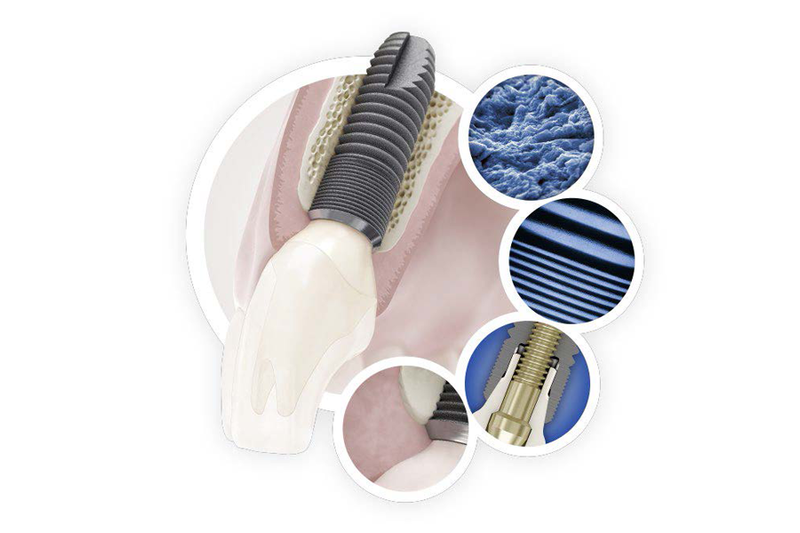 Discover the benefits of the Astra Tech Implant System BioManagement Complex.